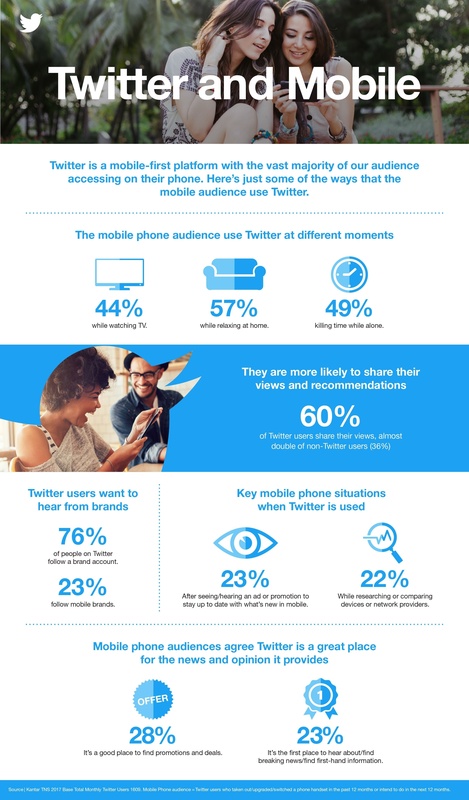 Twitter is a mobile-first platform with the vast majority of our audience accessing the service on their smartphones. New research highlights some of the ways that this audience uses Twitter and that includes how they follow and interact with brands. The research looks at the different moments that the mobile phone audience turns to Twitter and some of the situations when they are most likely to use Twitter. It also highlights why the mobile phone audience loves Twitter. Check out the full research in MWC18 infographic below.